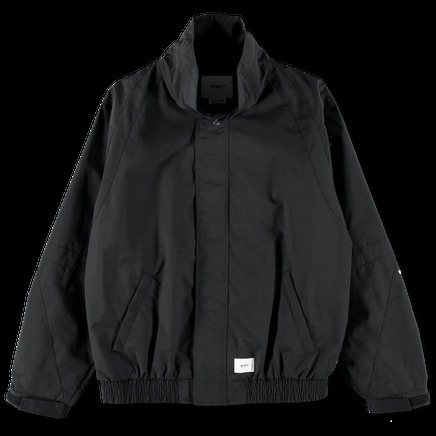 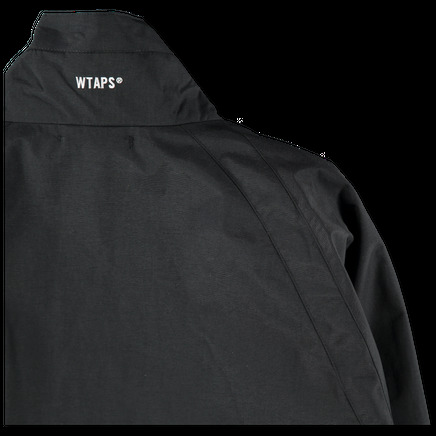 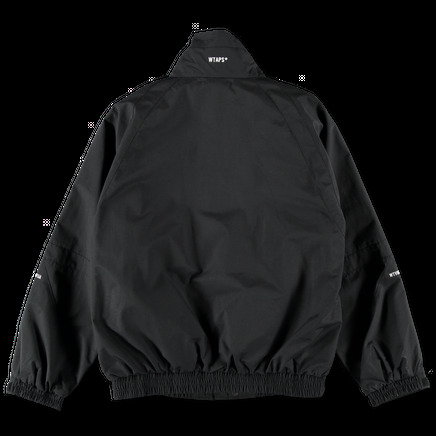 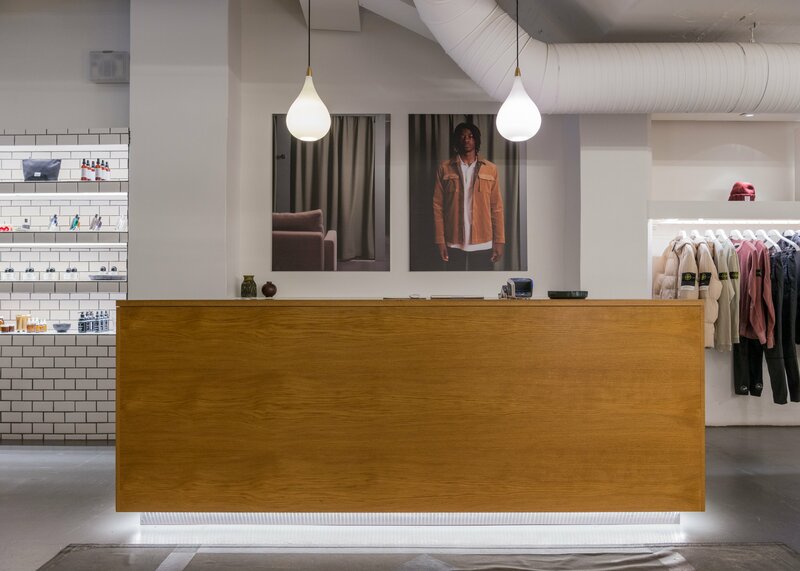 Peak/Jacket Nylon Tussah by WTAPS. 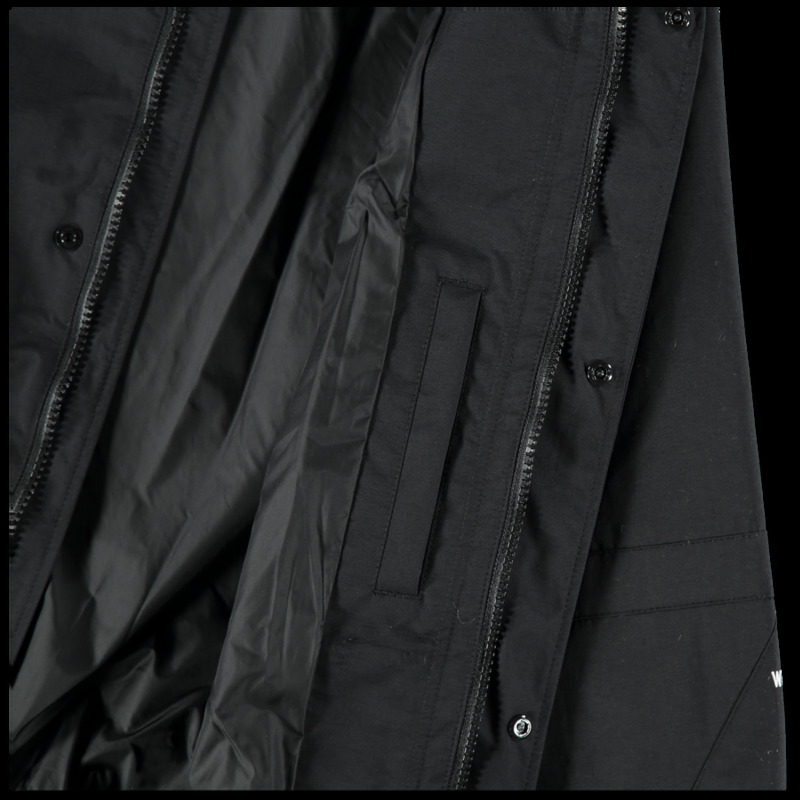 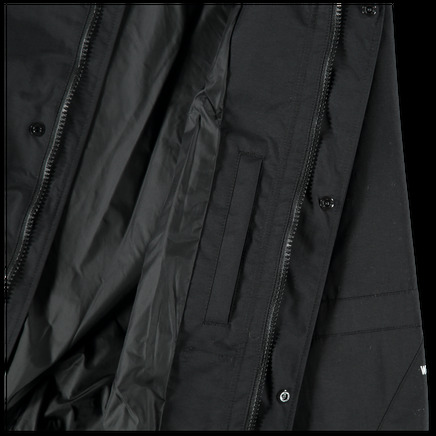 Thick nylon shell with high collar, full zip and button front with storm flap. 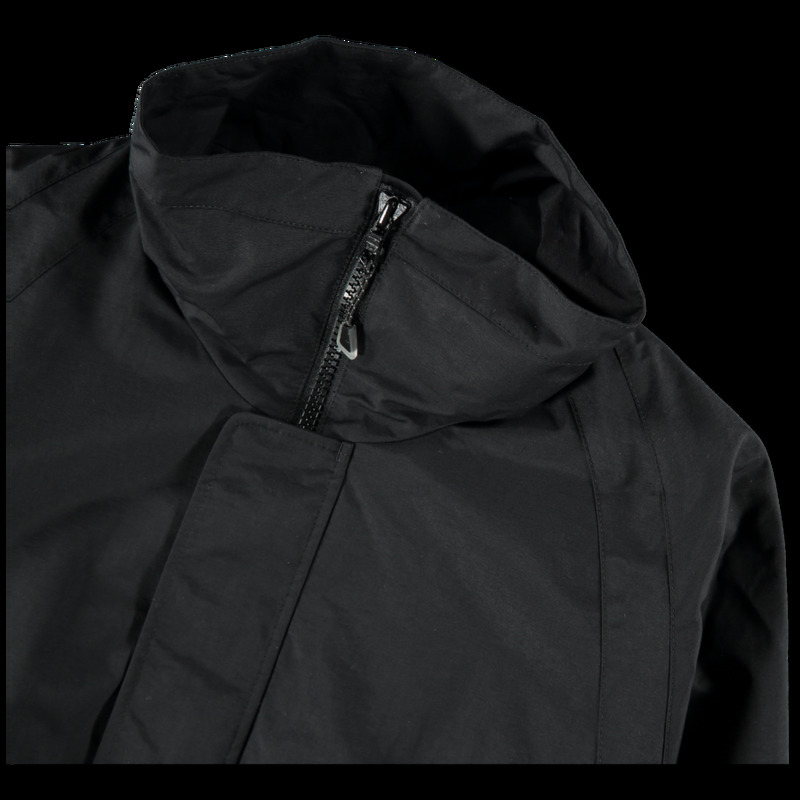 Raglan sleeve, slanted hand pockets, elasticated hem and velcro cuffs. 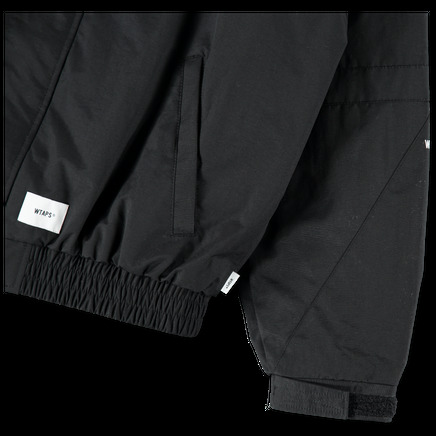 Inner seam pockets. 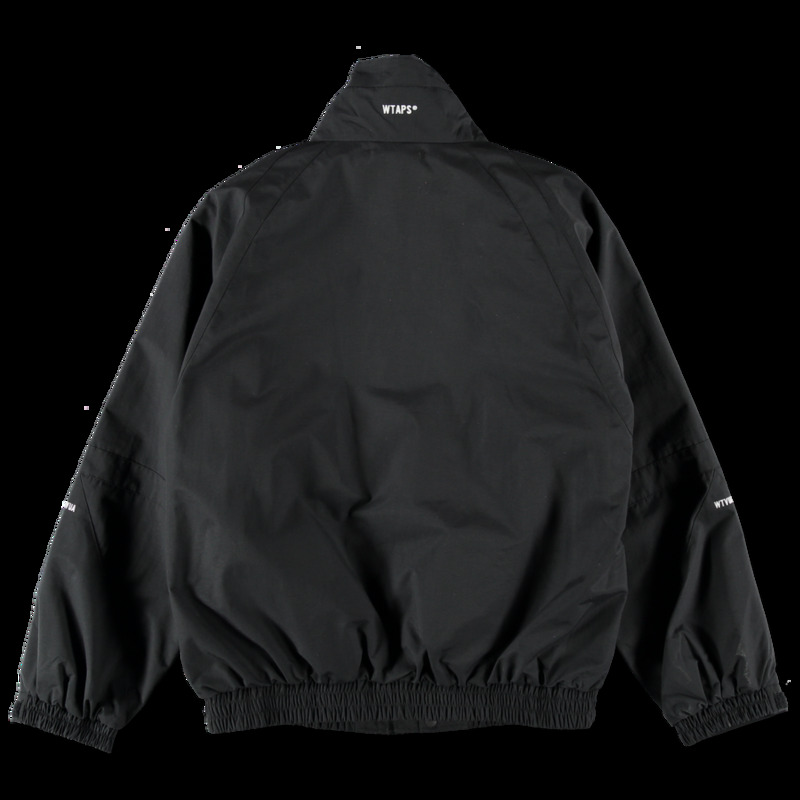 Small embroidery on each sleeve.